Spring is in the air! Literally, you can see it. The pollen is everywhere. From mid-February through late April, pollen season is in full force. We know that springtime allergens can cause problems for people, but did you know that your pet may be suffering because of seasonal allergies as well? You might even notice that this year, with the pollen count higher in the Tampa Bay Area than usual, our pets are a little bit more miserable than usual. But what are the signs that your pets are suffering, and what can you do to help? Excessive itching or redness, specifically on the feet or areas that come into contact with grass or other allergens. Just because it is allergy season doesn’t mean your pet has to suffer. With just a few small changes, your pet can become more comfortable year round. To start, make sure your pet’s diet isn’t the culprit of the allergies. Switch your dog to a natural dog food and make sure their treats are all natural as well. We love V-Dog as a healthy, natural option. Then, slowly reintroduce your pet’s usual food and treats into their diet and watch for changes. You should also introduce a pre and probiotic into your dog’s diet, which can help their gut health and reduce allergy symptoms. Next, eliminate external allergens as much as possible. When your dog comes inside, wipe their paws with a wet cloth or dip them in water to rinse off their feet. This can remove common allergens found in grass. You should also take care to eliminate fleas in your yard and on your pet. We recommend Cedarcide, which is an all natural way to kill fleas and repel them on both your pet and in your yard. You may also find it helpful to cover areas of your pet’s skin that are particularly susceptible to outdoor allergens. For example, a bandana or an adorable denim jacket can serve as more than just a fashion statement: it can protect your pets’ skin from falling pollen or dander. 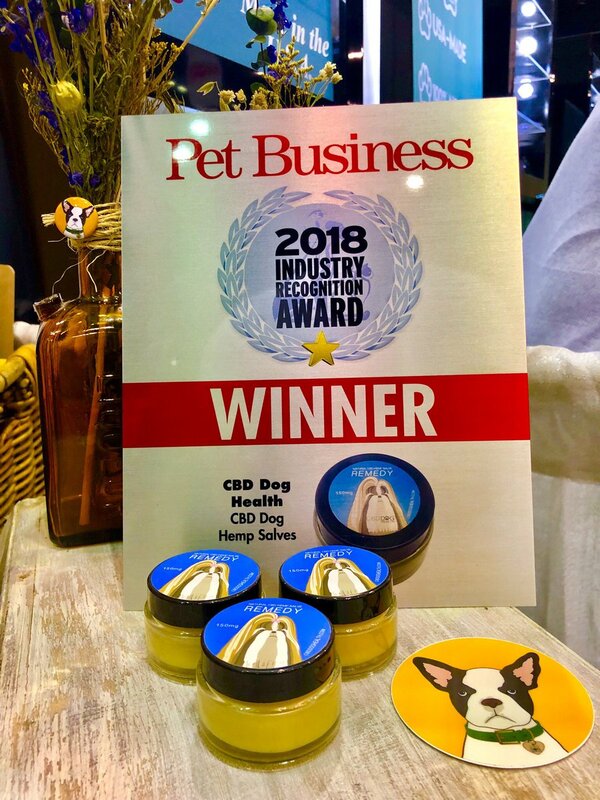 If your pet has any hot spots or irritated areas on their skin, CBD Dog Health’s SOOTHE Full Spectrum Hemp CBD Salve, which combines 150 mg of CBD with natural ingredients like honey, vitamin E, ginger essential oils, and aloe. This award-winning salve is used to heal hotspots, allergies, bug bites, and other common springtime issues. You can also give your dog CBD tinctures orally which can reduce inflammation and allergic reactions. It is also important that you maintain proper grooming during allergy season for your pet. De-shedding is vital to prevent irritation, and as the weather warms up, your pet is likely to shed more than usual. Bring them to Beautify the Beast and add a routine de-shedding to your groom, which includes a de-shedding shampoo, conditioner, and brushing treatment. To learn more about treating allergies, visit www.angelaardolino.com. Angela Ardolino has been caring for animals since she was 8 years old and has operated a farm rescue for over 10 years. She also is the owner of Beautify the Beast a natural pet salon and spa, and the founder of CBD Dog Health. Angela is an expert in medical cannabis and has dedicated her life to providing all-natural relief for pets of all kinds. She has four dogs, and 4-10 at anytime that she is fostering or boarding. Visit www.angelaardolino.com to find out more or www.facebook.com/fireflakefarm to find out more about Fire Flake Farm. The post Does Allergy Season Impact Dogs? appeared first on Beautify the Beast.